Description: On August 25th, Hurricane Harvey made landfall on the gulf of Texas. The slow-moving storm dumped approximately 40-50 inches of rain on Houston, TX, and the surrounding area, for five days. 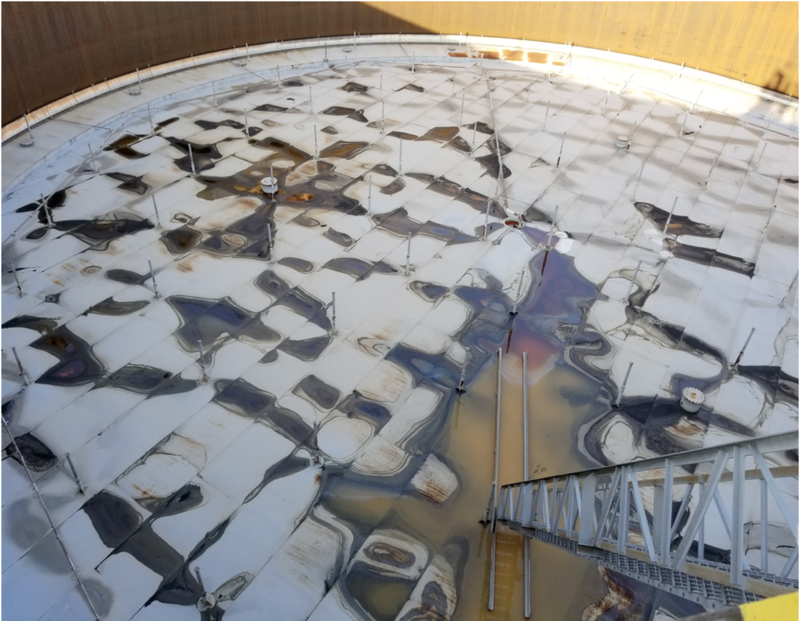 Personnel from the pipeline terminal soon realized that the intense rainfall had caused stored petroleum product release onto the tops of numerous product tanks equipped with external floating roofs (EFRs). The roof drain setup on top of EFRs usually funnels rain water from the rooftop to the ground, but could not keep up with the sustained rainfall of Harvey. 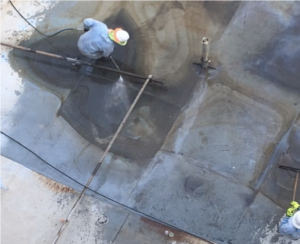 The immense weight of the accumulated rainwater on each roof caused the petroleum product to spill over the outer seal and leg penetrations. This resulted in product moving through the roof drain and into the secondary containment of the tanks. TIS was contacted and subsequently mobilized to inspect, clean, & release EFR-equipped fuel tanks back to the client so the terminal could once again provide gasoline and diesel to the public as a part of normal operations. After mobilizing to the site, TIS inspected and verified six EFRs that had no suspected product leakage. Four EFRs that were known to have product leakage were pressure-washed and released to return to service. A vacuum truck was used to remove wash water and product. Every tank was cleared and the terminal was then able to fully resume their operations.